On March 26, 2014, STEC CAP scientists John B. Luchansky, Anna Porto-Fett, Brad Shoyer, and Laura Shane visited Souderton Area High School (SAHS). Their visit was organized and hosted by Allyson Fitzpatrick, a Family Consumer Science Teacher and the Coordinator of the Health and Human Services Program at SAHS. In addition to providing an overview of the STEC CAP and emphasizing the internship and externship components of this USDA NIFA grant, the STEC CAP team from Wyndmoor, PA, informed the 9 students and 9 faculty in attendance about food/beef safety in general via a presentation entitled "Food safety basics: it's all about increasing awareness and lowering risk". The USDA-ARS team also provided the attendees with a hands-on workshop addressing the "science of cooking hamburgers", "microbiology of meat, milk, and soup", and "communicating risk at restaurants". The theory and practice of the presentation and hands-on experiences were very well received as evidenced by the attached feedback that was communcated by Allyson Fitzpatrick. As a result, students were made more aware of career opportunities and paths in Agriculture with emphasis on food safety. STEC CAP collaborators Ben Chapman and Christine Bruhn and graduate student Ellen Thomas were very helpful in preparing for this event. 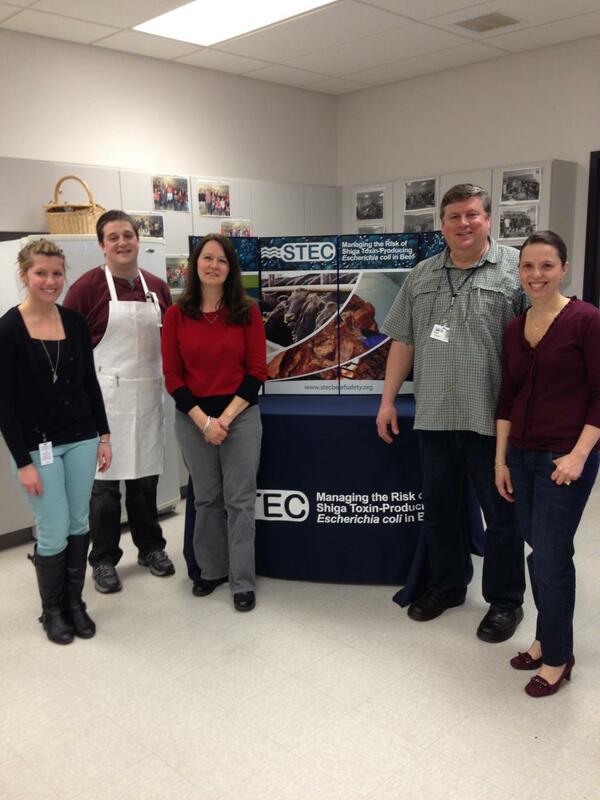 John, Anna, Brad, and Laura will also host some 60 students and 5 faculty members from SAHS at the USDA-ARS Eastern Regional Research Center (ERRC) on April 9, 2014, for the annual ERRC "Career Day".